Deep Practice Encouragement – Part 1 | Mediterra - Swim & Run Better Than Ever! 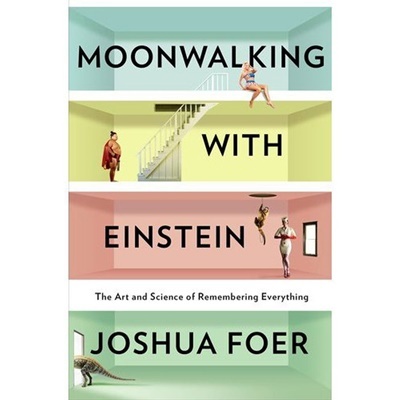 I recently read Joshua Foer’s book “Moonwalking With Einstein: The Art And Science Of Remembering Everything” about his journey from an ordinary forgetful guy to the finals of the US Memory Championships a year later. Along the way he learned a great deal about learning, memory, and the human potential, which his books provide an engaging survey of. You may have heard of the name K. Anders Ericsson – for anyone interested in the topic of expert performance this is the psychologist (and his research team) at the cutting edge of this topic. Foer submitted himself for testing in Ericsson’s research lab before and after his training. He also periodically consulted with Ericsson for understanding how the brain works and for advice on how to overcome some obstacles he faced in his training path. In Chapter Eight of his book, entitled “The OK Plateau” Foer cites his own example and then gives a succinct summary of the Deep Practice process and understanding that I wanted to share with you. When people first learn to [swim] they improve from sloppy [awkward movements] to careful [deliberate movements], until eventually the [body] moves so [relatively] effortlessly across the [pool] that the whole process becomes unconscious and the [body] seems to take on a mind of its own. At this point most people’s [swimming] skills stop progressing. They reach a plateau. If you think about it, it’s a strange phenomenon. After all, we’ve always been told that practice makes perfect, and many people [swim lap after lap, day after day] in essence practicing their [swimming]. Why don’t they just keep getting better and better? This is what we may call the ‘Imprinting Stage’ in Total Immersion jargon. You’ve got decent control over the skill, but you still have to concentrate on it to keep it as the level of quality you expect. So, you’ve got to do many successful mindful repetitions to hard-wire it into the system. If you remove your attention from it, and the quality goes down right away, then you know it is not yet automated. Now, it should be clear that we need to train specific skills to reach the Autonomous Stage by race day because then we can rely upon them – in that autopilot mode – to work under stress while our mind is concentrating on higher level matters (like race strategy). This is what you want for race day. (And the same applies for those simply seeking to enjoy a Big Pleasure Swim event also, without the pressure of racing, but with the stress of navigating in new water, going longer distances, or going through uncertain water conditions). But, that is as good as it is going to get unless, during your practice days you switch off the autopilot and keep a high level of concentration on the specific skill, challenging it to go further. So what do we do if we don’t want to settle for that plateau? Follow the patterns found in the highest performers. And let me stress, it must be hard in the cognitive sense, not merely the fitness sense (pumping muscle). Now do you understand why certain passionate masters swimmers you see in their practice day after day, week after week, month after month, are never getting faster? Or perhaps, why you are not getting any faster? This is why I talk about why we should cultivate a positive relationship with failure, and how to practice around these ‘failure points’. So, you can certainly ‘quit thinking so much and just swim’… if you don’t want to get any better at your swimming in that moment. That fact is proven by the millions of people who swim every day and will never get any better at swimming as long as they tune-out of their activity. Granted, most of those people likely have no idea how to improve, nor what to work on and would appreciate some organized advice on it. But for all those allegedly under the guidance of a coach, their lack of improvement has a systemic fault – the coach and the swimmer’s understanding of how complex skill improvement works in the human is deficient. There is little doubt that their intentions are good and efforts earnest, but their knowledge is a bit out of date these days. The Good News is that the understanding of how skill improvement works is openly available to anyone who wants to study and to put the concepts into practice. Total Immersion does not own this information, it’s just that we are taking deliberate advantage of it and applying it to the swimming context. p.s. I got the wingspan issues on the SPL formula resolved via Suzanne and Stuart. It was a mistake.